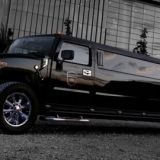 Arrive to your Budapest Stag Do in style with a luxury Hummer H2 Limo! 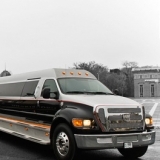 You can also ask for this transfer to the airport or anywhere you want. 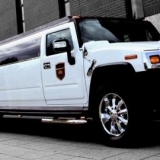 If you want to start your Budapest Stag Do weekend with some extra bling, then choose our extra luxury 11-metre long 16 seater Hummer H2 limo to pick you and your stag party up from the airport or anywhere you want. The Hummer H2 limo comes complete with tinted windows (for your privacy), a sun roof, wicked looking laser lighting, several bars, plush leather interior, and an USB/IPod compatible thumping 6,000 Watt stereo waiting for your best tunes - to really get the Budapest Stag Do off on the right note. This super sturdy military style hybrid vehicle is not surprisingly loved by famous celebrities such as Arnie, 50 ’Get Rich or Die Tryin’ Cent and er...um...Chris Eubank. The entire team wanted to thank you guys one more time for the amazing time we had all together. As we all know each other since ages it was really special to all gather in Budapest for these unforgettable memories! It really wouldn’t have been the same without your help. 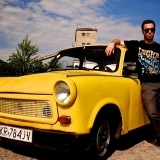 Instead of the usual stripper and champers cliché, surprise the stag with a 1st class humiliating stag wind up – add the Trabant transfer Budapest Stag Do! The time spent away on your Budapest Stag Do is precious; so don’t waste valuable time searching for taxis at the airport or in the city. 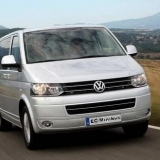 Take our minibus transfer and enjoy a comfortable and hassle free ride. 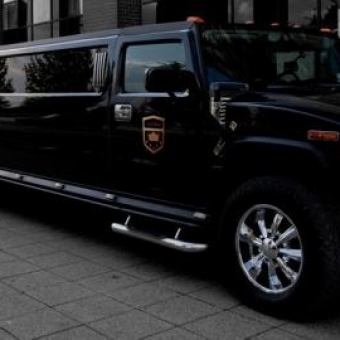 If you want to start your Budapest Stag Do like a bad boy gangsta rapper, then you’d better opt for our extra luxury, 14 metre long Daddy Hummer limo.